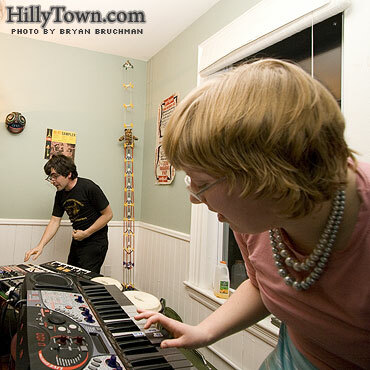 House shows are the best. 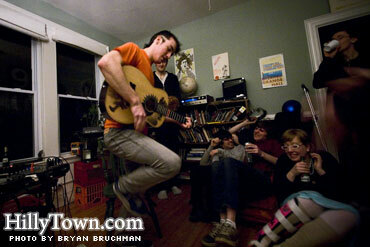 Even with a broken leg, the Scrapes brought the dance party to a post-Valentines/DoorYard benefit living room show in Portland on Sunday night. It was actually the quietest dance party I’ve ever been to, and a lot of fun. Before the Scrapes turned the joint into a shuffle and dance singalong party, Ryan Whelan played some “acoustic freak punk” (according to one Jake Lowry) tunes, getting the crowd all riled up, banging on guords, furniture, and body parts. Good times.